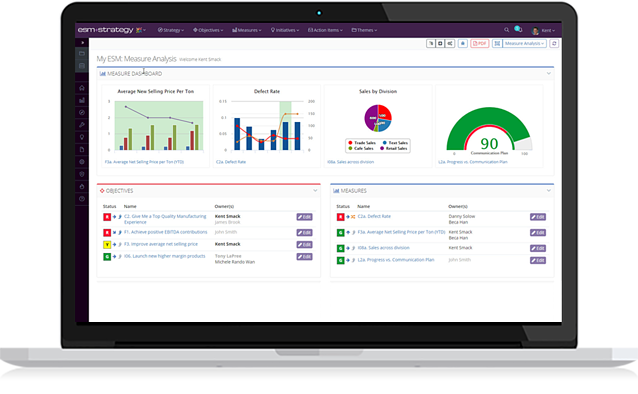 The only strategy software built by the creators of the Balanced Scorecard, Drs. Robert S. Kaplan and David P. Norton. FREE WEBINAR: Healthcare Strategy: Lessons from the Field! 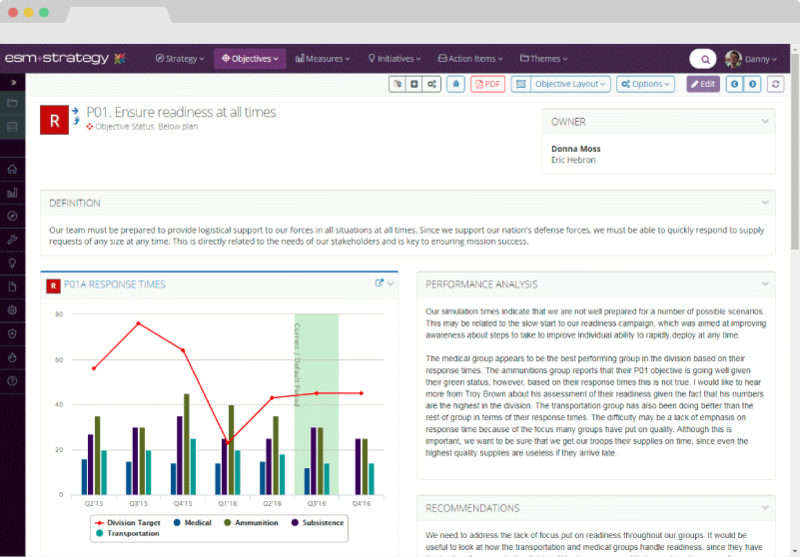 Streamline strategy management - monitor Objective, KPI, and initiative performance. Save time by making employee reviews easy and connected to organizational goals. Business strategy consulting services that allow you to own the planning process. "The most intuitive tool for the BSC"
The navigation of ESM is so easy that I was ale to learn the tool within one week before having to train many managers at UAMS. 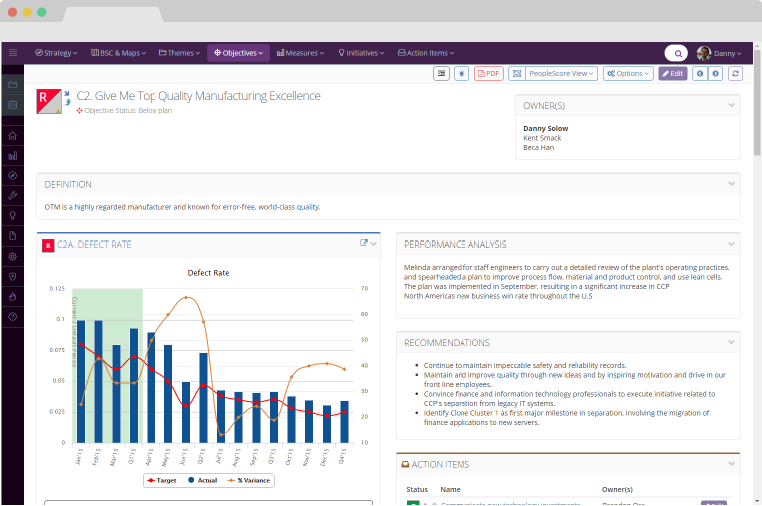 "Enable DTRA to more easily align their strategy to goals"
"I have used several other platforms and the ESM+Strategy software far exceeds these offerings." I love the ease of use and I find it very easy to teach this software to Scorecard and element owners. 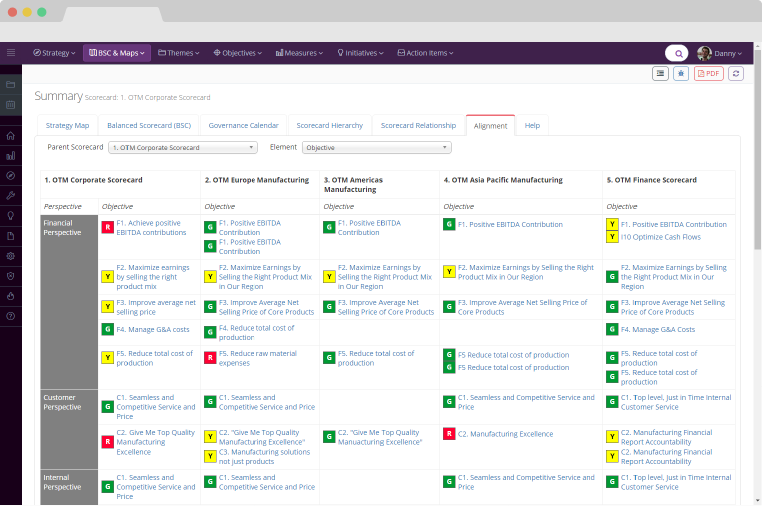 Whether you are new to strategic planning or you're a seasoned vet, ESM scales to your needs with flexible strategy maps, Balanced Scorecards, initiative prioritization, and custom reports.